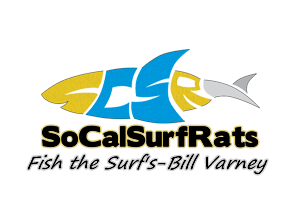 Search Results - Surf Fishing California - How to Surf Fish & Surf Fishing Reports and Tips. Wow, talk about taking advantage of a buffet. That needs to be addressed. Thanks! Unto you and yours as well. Hopefully this year we can get some more action going! Nice job.. yeah winter is tough. Nice job. And a 11" pig as well. Hope to see some good reports! Good Luck..
Wow! Those are nice. I never get up there. But I am going to have to make sure I do.. for something like that from the surf! Very nice. Yeah I went all the way up to Malibu hunting and only could connect off the rocks with the Walleye's ...Good Job! We are working on now getting the ORIENTATION of the photos fixed. But the upload process seems to be going well. Thread: How much did you pay for those Lucky Craft lures? Great Idea! Keep em coming! Homegrown is fantastic! What? An over and In!!! Silly Rabbit.. lock that pole down! You never know. Thanks for the pics and the report! I have someone working on updating the forum. And the app/plugin for the photos. It should resolve these issues. Lets cross our fingers. Hopefully the turnout will be fantastic. Making this a sticky! Want to buy a used Avet... let me know if you have one. Using for leopard sharks. I have a Penn 525 Mag. But looking for something newer. Mine is the U.S. Model. Sounds like a pretty good time to me. Glad you hooked into all of the above and got some R and R.
P.S. - I will look into why the photos are attaching as well. Anyone fished up Leo way lately. I finally get to go fishing. Was wondering what and where the action is at.